Having the power of Facebook’s incredibly large audience can seem a benefit to a nonprofit looking for opportunities for greater reach. As Facebook rolls out a Donate Now button for nonprofits to use may seem like just the solution to additional funding many orgs could use. Or is it? Today it was pointed out that the post below pertains to the “old” Facebook Donate Now button and not their “new” one. For our error we are very sorry to have looked at old info on Facebook’s site about ways to add Donation button(s) to a nonprofit’s Facebook page. So, unless you’re using the “old” button and not the “new” button you can ignore our post below. However, never to leave you, dear reader, wondering what we think of the new button we’d say this: it’s not cool either and for 2 big reasons. The last thing a nonprofit’s giving experience needs is another step and as pointed out in the Techcrunch article states in the original story listed below, this added step kind of berates the person clicking the Donate Now button. Ouch. 2. A redirect from Facebook to the nonprofit’s PC giving pages likely still means a PC experience on a mobile phone. Ask anyone about how much Facebook is viewed and interacted with on a mobile phone and in one word they will say “most”. Most of Facebook content is viewed and create with mobile phones. So a Donate Now button will, for the vast majority of nonprofits deliver the would-be donor to a PC page on their phone. If you’ve read our blogs about this there is a wealth of data that says giving via a phone through an experience meant for a PC is likely a lost donation due to slow load times, too many pages, too small of type, too much friction, having to create a userid+password, etc. So we’re sorry Facebook for talking about your “old” button below. The new one though still registers on our “not cool” meter. This week the personal information collection and storage platform known as Facebook rolled out their “Donate Now” button for nonprofits. They tested this service with a few select nonprofits earlier and I have to guess that they like the results. Here’s a piece from from the folks at Techcrunch about the roll out. While seemingly this bodes well for nonprofits, I can’t help but think this is more about Facebook’s selfish big picture aims than it is about truly helping nonprofits and those they serve who are in need. I’ll explain what’s driving my thinking by sharing with you my 7 (not cool) things you need to know about Facebook’s Donate Now. And then the cause gets it later. Frankly, don’t we have enough software platforms living off the nonprofit float? The promise of fundraising innovation is to cut out the middle man and make the process of giving to those in need happen faster and with the least amount of friction as possible. Donate Now solves none of this that I can see. To me this is the real Facebook gambit. They will do just about anything to get their users’ credit card info anyway they can for future commerce. Even more not cool is that they collect this information and store it AUTOMATICALLY. Ask for permission? Don’t be silly. We’re talking Facebook here. Oh joy! The chance to be forced into sharing more with an online service without being asked is just what I’ve been waiting for! How about you? Inexplicably Facebook will know more about your donors than you will. Ever. This affords the nonprofit no chance to create a loyal supporter and a high-lifetime-value donor. It’s just the way FB operates. Here’s a refresher on this point. Facebook will know that donor X made a donation to an arts-focused nonprofit. Guess what? They’ll show ads for other arts-focused nonprofits to the donor. Say goodbye to loyalty. I guess Facebook really wants you to compete with other nonprofits….and pay them for the chance. Does anyone remember Facebook’s Stores offering? Don’t worry if you don’t because it kind of flopped. Why? 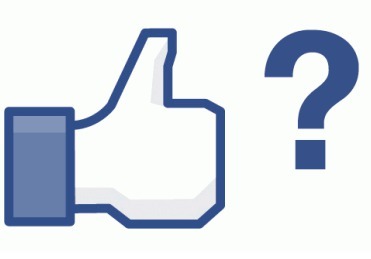 Many in the know opined that it was because Facebook is more about “liking” than real commerce. If that’s the case here for Donate Now it can hardly be considered a cash cow waiting to happen (if at all) for nonprofits. Not much to say here-kind of speaks for itself. I guess getting used to the name “Anonymous” in your donor CRM is in order. This is where I’m at personally. I have a Facebook page personally and haven’t been there in years because it’s boring, contrived and creepy. I know that Facebook intentionally compiles massive amounts of data about people for their profit, not in the name of connecting people but in selling ads. Don’t get me wrong. I’m a capitalist with a heart. And yet the less they know about me the better. I may be wrong about all of the above. Or I may be right. I look at it this way. If I told you Facebook will do just about anything to have your credit card information on file would/could you believe it? Dale Knoop leads a great team working to make RAZ Mobile a powerful, international platform for any cause engaged in fundraising. Today, all causes globally need a content-rich mobile presence that can be shared through text messages, social media, email and more and best of all-quickly and securely process 100% of donations from motivated supporters with a minimum of friction in seconds with no passwords. If your nonprofit needs custom development of a mobile solution to fit your mission please click here. Dale holds multiple patents and applications for patent in the mobile space. I was so very close to launching a donate now button for a nonprofit’s business Facebook Page, but now I’m seriously reconsidering it. The notice that this article (post) reefers to the “Old” button makes me so very confused now. Question: so, what is the difference between the Old & New? Does the downsides still apply to the “New” Donate Now Button? The old button was a trial about 2 years ago, and it was offered to only a handful of very large organization (it is no longer available.) The problems with it are outlined in the author’s 7 points. The “New” button is currently available on a broader base, but basically acts as a re-direct to the organization’s site (it’s considered a “Call to Action” ad on Facebook). The first 2 points in the post outline the authors criticism of the “New” Donate Now Button. While it may be helpful to direct traffic to your site, but among chief considerations: majority of Facebook traffic is mobile, is your organization’s site (responsive?) and going to provide the visitor with a positive experience? 1. The “Old” was available to select very large orgs about 2 years ago. The 7 points relate to what was wrong then. 2. The New Donate Now Button is currently and more widely available. It is basically a redirect (or a Call To Action ad on Facebook) to your org’s site. The author is highlighting the problems with it in the first 2 points of the post. As a redirect, one of the biggest problems orgs will experience will be user friction- since the majority of FB users are mobile and the vast majority of org’s sites are not responsive, offering a lackluster (read:frustrating) experience for a mobile user. Yes it does! Thank you bunches for replying to my concern. You’re Aces!